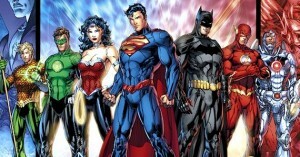 If you read comics, then you are aware of DC Comics bold move to relaunch it’s entire universe. A lot of very good storytelling has come out of this event. 9 months in and it’s only getting better for most of these titles. DC took a risk and it’s paying out in dividends for readers. Right now I’m reading 12 of them regularly and still pick up new ones here and there. (Earth 2 and World’s Finest are pretty good!) Even more exciting is the fact that the old baddies are starting to show. Flash is visiting Gorilla City and Aquaman is hot on the trail after Black Manta! So with the New 52 in full swing, here is my Best and worst of the New 52.